Enjoy a quick, comfortable and totally hassle-free check-in! For Premium Economy Class passengers, crowded airports are no longer a concern. You will have access to both the exclusive Premium Economy Class check-in counter at following airports, and also Business Class counter at other airports. * This service is applicable when traveling in Premium Economy cabin. * Code Share flights operated by other carriers may be applied by based on the operation carrier service. 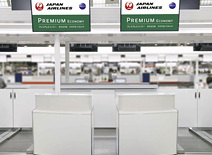 * Premium Economy Class check-in counter may not be open depending on the hours. In that case, you will have access to Business Class counter. After checking in, Premium Economy Class passengers are warmly welcome to wait to board their flight in our comfortable airport lounge! 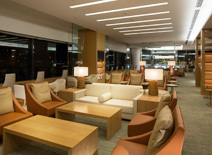 As a Premium Economy Class passenger, you will be able to relax prior to your flight's departure in the spacious comfort of the JAL Sakura Lounge in the main building at Narita International Airport Terminal2. * Lounge service is applicable when traveling in Premium Economy cabin. Ensuring you get on your way quickly with the prompt return of your carry-on bag! 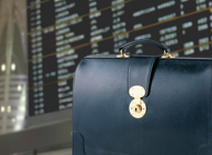 On arrival at your destination, you will be able to collect your baggages at the baggage claim area, the same time as First and business class passengers.